Flagler County school officials say they may lose funding for programs that serve adults with disabilities. Board Member Colleen Conklin said during Tuesday’s School Board meeting the situation is one she would “classify as an emergency.” Affected programs would include Step Up, Community Inclusion, the Adult Activity Center and Adult Basic Education. Anthem High School will provide students who lack a high school diploma the opportunity to earn their diploma and a credentialed career certificate in preparation for enrolling in one of the numerous degree programs offered by Anthem College. A partnership between Southwest Florida Works and the Alliance of Educational Leaders organized the job fair setting in the Student Union Ballroom, where 25 Southwest Florida companies interviewed candidates for paid internships. Former Florida Gov. Jeb Bush awarded Maria Segura with a scholarship last Friday during his 12th Annual Celebration of Reading event. The event raises money for literacy programs and advocates for the importance of family involvement in overcoming illiteracy, both in children and adults. 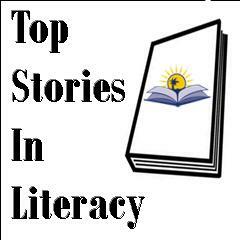 This entry was posted in Literacy News and tagged Anthem college, Anthem High School, Career Pathways, flagler county, FLC, florida education updates, jeb bush, legislative updates, smart horizons by Florida Literacy Coalition. Bookmark the permalink.